How to Make a Resume Online in 10 Minutes? Resumes (curriculum vitae, or CV) are quintessential to quickly and succinctly letting employers know what you’ve done over your working years. For most of us, trimming ourselves down to fit onto one sheet is a daunting task for many reasons. Maybe you can’t think of anything any employer would like to hear. Maybe you have so much that you can’t reasonably trim it down. Maybe you can’t get the wording just right. 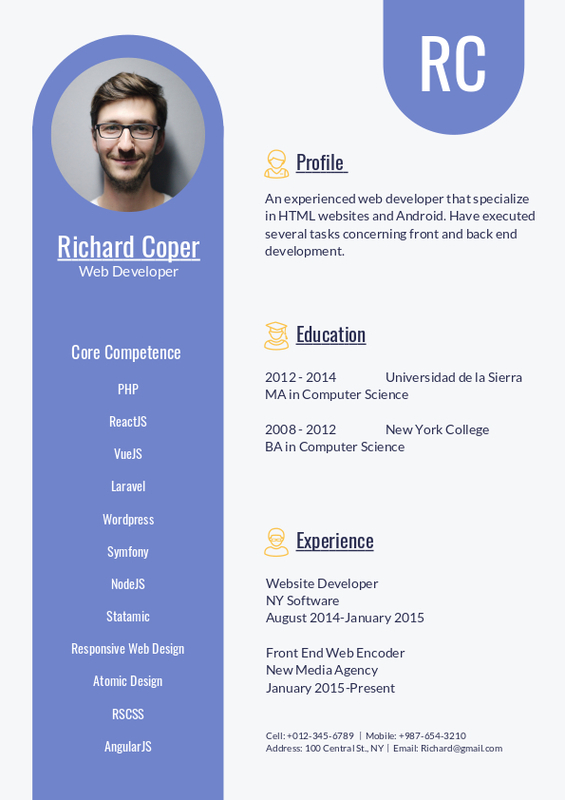 Maybe you don’t know how to make a slim and sleek resume that will catch recruiters’ attention. 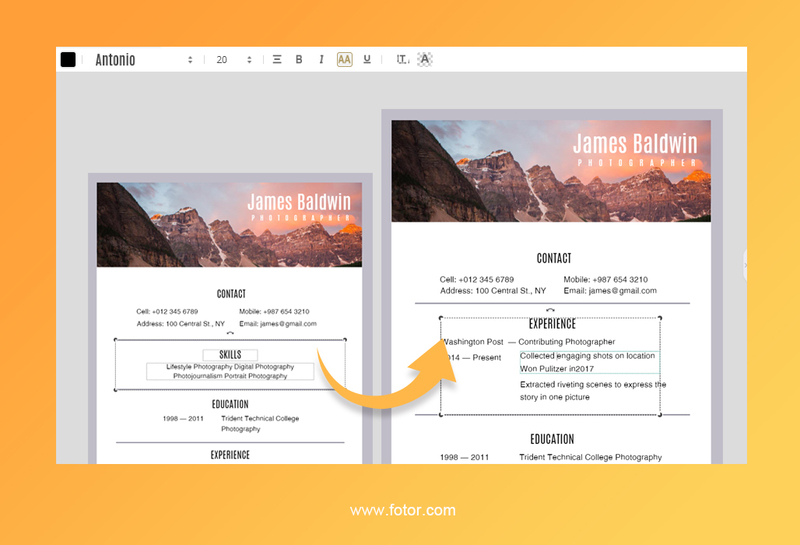 That’s fine; you’ve come to Fotor where we can help you how to make a resume online, tackling all these problems and coming out the other side with a polished resume. Step by Step：How to Make a Resume Online? #1 – Critical Information: What to Include in Your Resume? Recruiters should be able to find you whichever way is most suitable to them. Some may prefer phone calls, some emails, some social media. It’s up to you to give them as many different channels as you can to contact you. I’ve received offers from people who like to call, from others who liked email, and others who found me on LinkedIn. More channels mean more ways to be found; include them. How Should I Organize My Work Experience? One thing to remember as well is that be specific with your achievements. Use numbers to showcase your success because some people may overestimate your skills, which will put you in a bad position when you start or underestimate you, which means you’ll miss out on some queries from recruiters. Don’t make them guess. Give them the exact figures. It will get you more calls than not. References are always a good thing to include on your resume because they can speak more to your character and attitude in the office. Mine are always available upon request, but including them right off the bat shows confidence in your previous posts and your work while there. Skills are a great way to pad an otherwise less robust resume, showing that you took the time to improve yourself outside of your general post. 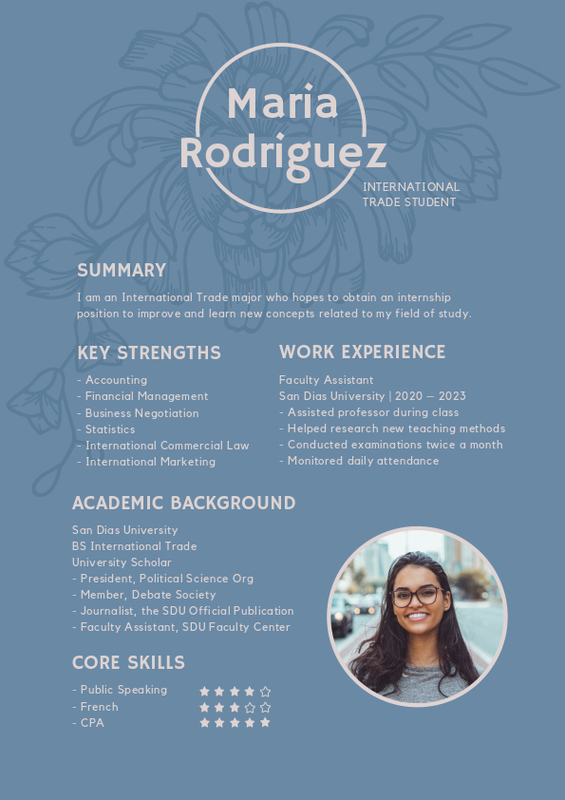 Things like foreign languages, computer languages, and programs are great ways to help whoever is reading your resume to get a better idea of who you are. Bold, Italics, and Underline to separate different information. 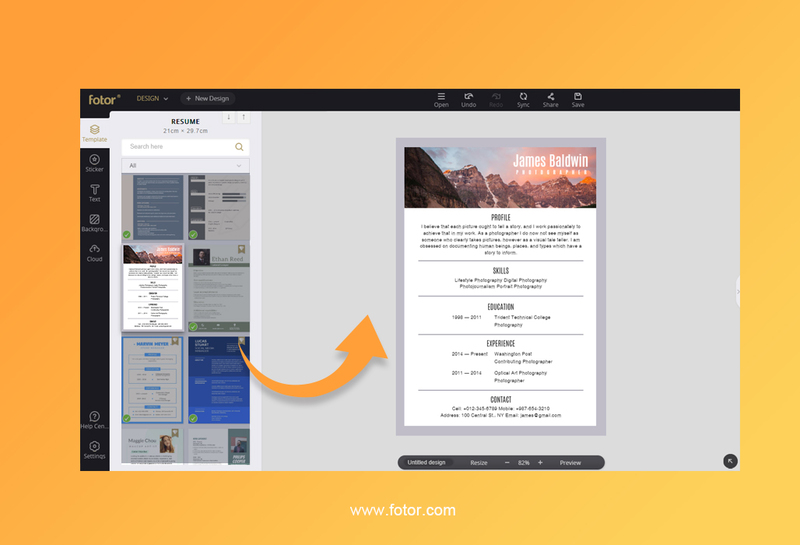 One of Fotor’s templates here does an excellent job of dividing different information. This is a basic format that you should be looking for when dividing information and keeping it legible. It is an excellent example of what a recruiter is looking for as far as readability is concerned. One thing to realize if you want to make a functional resume is that you need to keep it short and sweet. It can be hard sometimes to remove one job, but if it’s basically a rehash of another job you’ve had at a more prominent company or one you worked at for longer, you should probably save the space for something that showcases a different facet of your skillset. Bullet points should be limited to 2-3 per entry. It’s ok to have something that is longer than one line. It’s better than dividing it into multiple bullet points, which can lose the consistency and clarity that one sentence could bring. How to express what you have done can be difficult as well. Use the appropriate verbs, adjectives, and phrases in your resume to word your accomplishments and responsibilities at your different occupations. Don’t make it too complicated. You need to maintain readability. If it looks like you just opened a thesaurus and put down all the big words, they’ll take it as disingenuous, and you’ll soon find yourself on the trash heap. Use them accentuate your natural writing, not disguise it. 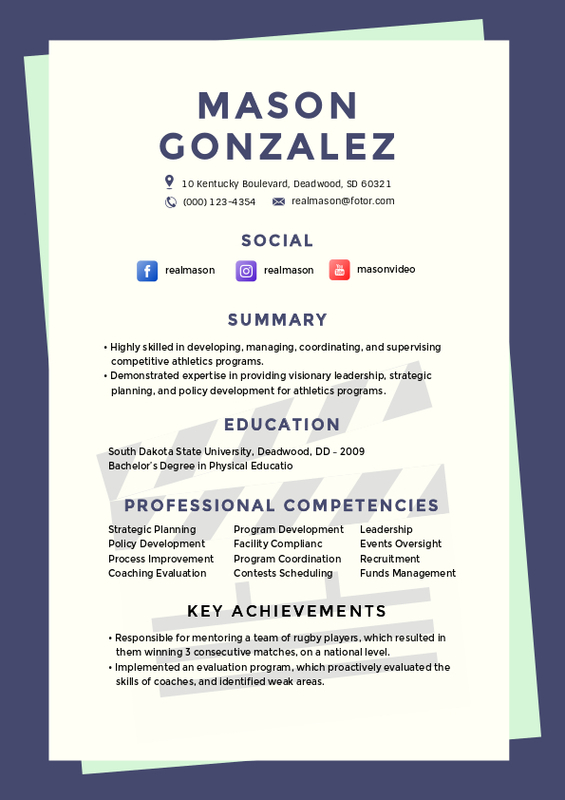 When you’re writing your resume, you gotta remember that the font can make it either an attractive document in the hands of a recruit, or another piece of paper filling their trash can. You’ve got to pick a font that has enough white space to read well on screen and in print, as well as make sure it feels professional enough. These are a great way to understand visually how to choose the proper font. Don’t be afraid to look for other good fonts, but don’t stray too far from what these nine look like. 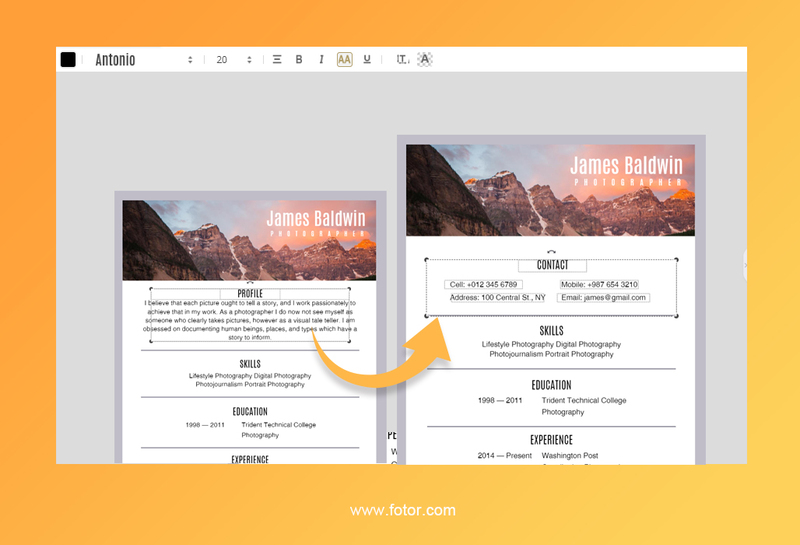 Now, let’s go on over to fotor.com and see how we can use the site to make a resume online that will wow those recruiters and gets you some callbacks. I decided to go with this template. 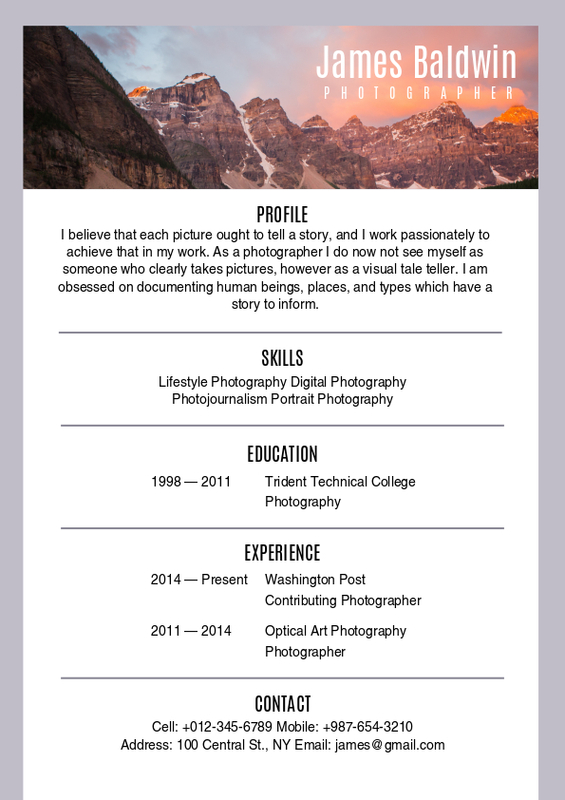 It’s simple and easy to update into a more robust final resume. You can move the line by holding and dragging it up and down. Next, I want to put my experience because that’s what they want to see next, for sure. I’ll use one job to give you an idea of what it should look like. Here you can see how you can divide up the information to make it easy to read and move through the information line by line. Next, I’d add in the education and then the references to round out the resume. You still have room on the bottom, a perfect place to add in skills, like which programs complement the job you’re looking to get. While you’re going around the world wide web, submitting applications, you also need to think of what other ways you can find jobs. One of the best ways to find jobs is through your network. Take some time to contact people you know and tell them what you’re looking for, and ask them to help you out. If that isn’t enough, go and make some friends! You’d be surprised how many jobs are actually available but never posted online. Each job, as we know, will come with its own set of challenges and requirements. Doesn’t it make sense to curtail a resume so that it fits what a company or individual wants out of their potential employee? Of course, it does! So, don’t forget to research the requirements and read the job description carefully to determine what you should cover in your resume. Try using the same language to get a stronger response from the person checking out your resume, getting you just that much closer to that coveted call back that many job seekers never receive. Remember, recruiters are only checking out resumes for a few seconds, so use those seconds wisely and pick some words you know they’re looking for. As Wayne Gretzky said, “You miss 100% of the shots you don’t take”. While I’m no mathematician, I think he’s mathed it out quite well. Listen, if you wait until you’re the perfect match for anything, you’re not bound to get anything. Most folks that go into business for themselves have no real proof that what they’re doing is going to work out, just a hunch and guess by folks employed to determine a potential earning and sell that to others. While you might not be trying to secure seed funding, you are trying to find yourself a job, and you know yourself really well. So, you should definitely not hold yourself back because you think you don’t have the relevant experience or degree. Spoiler Alert: Only a select few have all the skills at any one time for a lot of the jobs posted. If you can show through your resume that you’re responsible, thorough, and a potential match for what they need. Many skills are transferable. Many skills can be learned. Don’t think of requirements as a preview of the new career in your future, and since we change careers about 9 times in a lifetime now, that honestly shows that no one ever has that 2 years of experience that companies always seem to need, even for entry-level positions. Hope you can find this how to make a resume online article helpful. 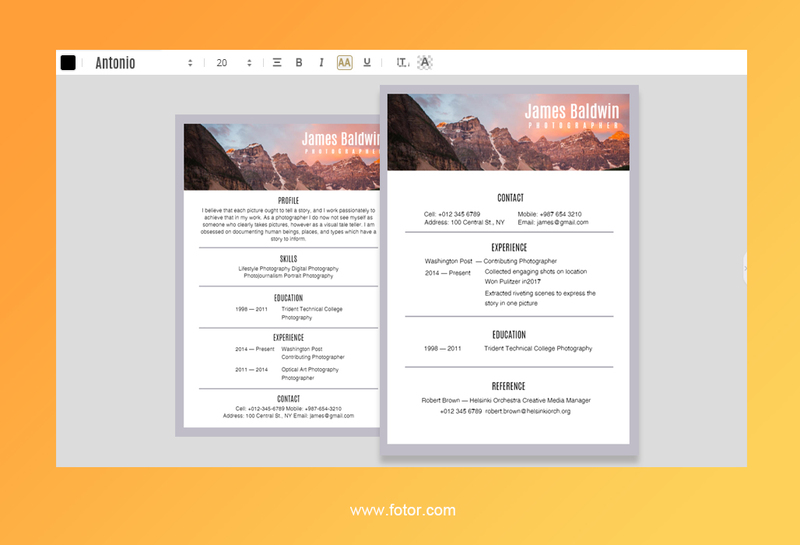 Fotor has prepared many professionally designed resume templates, which can easily level up your resume. Now get out there and seize those opportunities presented to you! How to Design Outstanding Lock Screen Wallpaper Online with Minutes?